A retired IPS officer and a retired district judge are among the first list of 21 candidates announced by actor-turned politician Kamal Haasan's Makkal Needhi Maiam Wednesday for the coming Lok Sabha elections in Tamil Nadu and Puducherry. 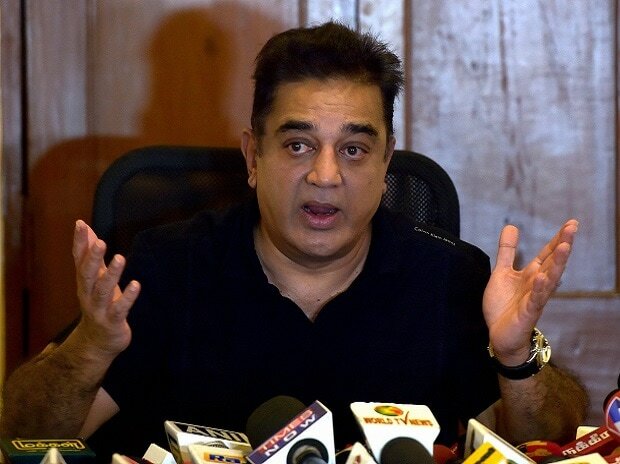 Haasan said he wished to contest the April 18 elections but would take a call as per the advice of the party's executive committee. The party released names of candidates for 20 constituencies in Tamil Nadu and for the lone seat in the union territory Puducherry. The candidates for the remaining 19 seats would be announced on March 24 and would include "some important" names, Haasan told reporters here. The first list included south Indian actor M Nassar's wife Kameela Nassar (Chennai Central), retired IPS officer A G Mourya (Chennai North) and retired district judge K Guruviah (Nagapattinam). "Some important names are there in the next list, which would be announced on March 24 in Coimbatore," he said. On the delay in announcing the candidates, he said various democratic steps, including holding interviews, had to be followed before finalising the list. The Election Commission has been allotted 'battery torch' symbol to MNM.